Join Us For Rally Sunday September 11th!!! JOIN US EVERY SUNDAY MORNING AT 11am! Our Sunday School program provides a vibrant and fun environment for children to come week after week and learn about the Word of God. Through our dedicated team of Sunday School teachers we instill God's truth into the lives of our students through interactive lessons, creative crafts and fun activities. 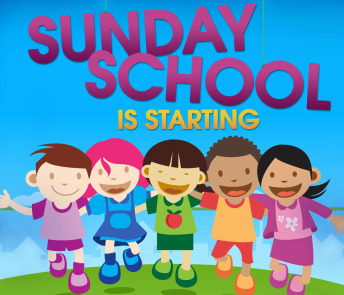 We are excited about the wonderful things God will show us and teach us through this year’s Sunday School program, we ask that you keep the students and teachers in your prayers as we study God’s word together. Your prayers and encouragement are what fuels our race through this year’s Sunday School. We hope you will join us every Sunday morning in Sunday School as we run this race for Christ.